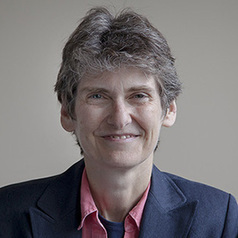 Janet McCabe is Professor of Practice at the Indiana University McKinney School of Law and Assistant Director for Policy and Implementation at IU’s Environmental Resilience Institute. She is also a Senior Law Fellow with the Environmental Law and Policy Center. From July 2013 through January 2017, Janet McCabe was the Acting Assistant Administrator for the Office of Air and Radiation at the United States Environmental Protection Agency and was nominated by President Barack Obama to be Assistant Administrator of that office. She joined EPA in November 2009, serving as the Principal Deputy to the Assistant Administrator of OAR. Prior to joining EPA in November 2009, Janet McCabe was Executive Director of Improving Kids’ Environment, Inc., a children’s environmental health advocacy organization based in Indianapolis, Indiana and was an adjunct faculty member at the Indiana University School of Medicine, Department of Public Health, and at the School of Public and Environmental Affairs. From 1993 to 2005, Ms. McCabe held several leadership positions in the Indiana Department of Environmental Management’s Office of Air Quality and was the office’s Assistant Commissioner from 1998 to 2005. Before coming to Indiana in 1993, Ms. McCabe served as Assistant Attorney General for environmental protection for the Commonwealth of Massachusetts and Assistant Secretary for Environmental Impact Review. Ms. McCabe grew up in Washington, DC and graduated from Harvard College in 1980 and Harvard Law School in 1983.